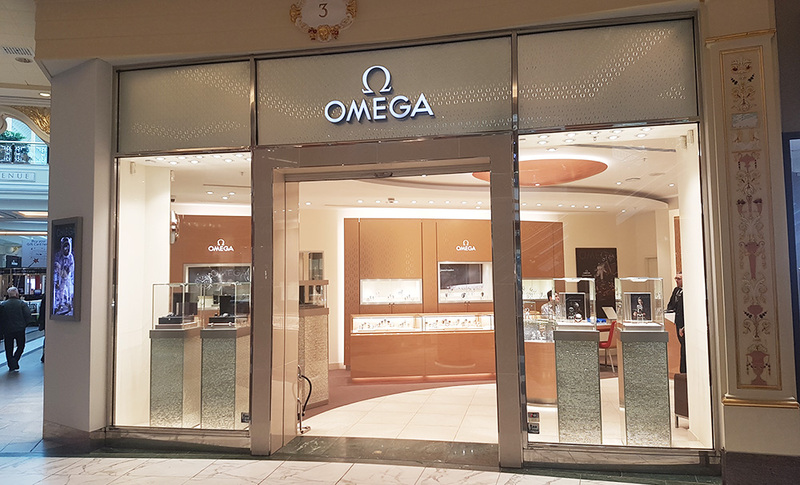 At the OMEGA Boutique, located at The Dome (directly opposite Selfridges) in The Trafford Centre Manchester, the team and I are privileged to showcase a comprehensive range of timepieces, as well as our brand’s fine leather collections and the Omega fragrance. Our team of specially trained staff looks forward to welcoming you to our bright, welcoming and comfortable environment, to share our unparalleled knowledge about the technology, history and collections of one of the world’s most respected watch brands. Since 1848 OMEGA has established a reputation as a master in the traditional art of watch making, proving them to be amongst the watch industry’s most adventurous pioneers. The determined effort to increase the precision and improve reliability has led to groundbreaking innovations in watch making with more recently, the introduction f the OMEGA exclusive Co-Axial escapement.